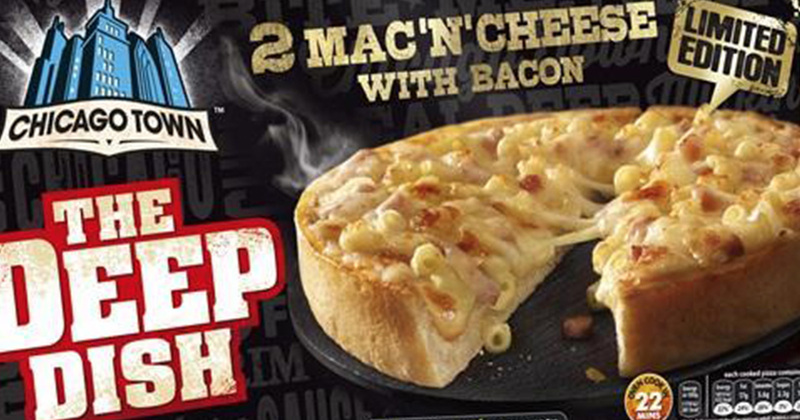 Flipping’ hell people, Chicago Town have just dropped a mac and cheese pizza which will set you back a mere quid. Vegetarian unfriendly, the new pizza comes topped with chunks of bacon as well as a cheesy indulgence. All this… for £1. I doubt even the veggies could argue with that? 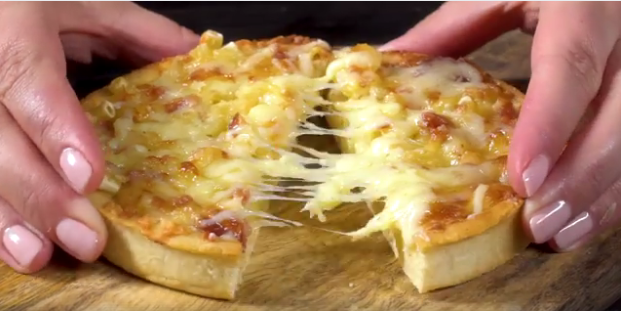 The tasty Mac & Cheese pizza combines the classic Chicago Town Deep Dish crust with a mozzarella and cheddar based Mac & Cheese topping with mouth-watering bite-size pasta pieces and yummy bacon bits. Chicago Town’s new American-inspired pizza offers ultimate versatility and is the perfect meal solution whether it’s for a family dinner, quick lunch at work or tea time with the kids. You can catch the new pizza at Tesco or Morrisons for £1 but only until February. After that, they’ll return to their usual price of £2.39, which to be fair, is still very reasonable for a mac and cheese pizza. You can also find the novelty pies at Iceland for £1.49. While September may seem a while off, it’s when Chicago Town will take this off the shelves so get your enjoyment while you can guys. The award-winning Joe & ‘Za has teamed up with Just Eat to create a limited edition range of pizzas, featuring a heartfelt message for a loved one. 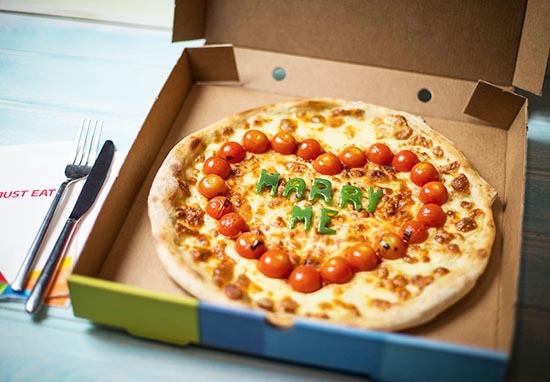 The pizzas were inspired by Just Eat data which shows the Italian staple is the number one dish people in the UK order for a romantic Valentine’s night in.